HCL Off Campus Drive for Freshers 2018, HCL Off Campus Drive for 2018 Batch, HCL Off Campus Placements for Tamil Nadu State Level Placement Programme (TNSLPP), HCL Off Campus Recruitment Drive, HCL Pool Campus for 2018 Batch, Anna University HCL Off Campus Results, HCL Off Campus Referral Drive 2018 and the HCL OFF Campus Eligibility Criteria. One is HCL Off Campus Referral Drive by Employees details of which you will find in Referral Section of this page click here. One conducted by Anna University under Tamil Nadu State Level Placement Programme” (TNSLPP) 2017-18 with an Aim to provide Placements for Final year Students for 2018 batch you can find the details here on TNSLPP Section of this page. HCL has changed their Questions Bank and Hiring Pattern from September 2017 and they instead of AMCAT now use their own platform to hire. You can study for HCL from our Website’s HCL Dashboard. Click here to Visit our HCL Dashboard all questions are DevSquare based and we will also suggest you to bookmark this page for Preparation Purposes. This is for Students studying in University, Colleges and Affiliated Engineering Colleges of Anna University, Tamil Nadu under Chennai Zone. At the end of the page there is also PDF Guidelines by Anna University you should also go through that in HCL Registration. HCL is participating in this drive and it is happening on 12th & 13th, 15th & 16th, 17th & 18th March 2018 for Chennai, Madurai and Coimbatore zones respectively. Hurry up and register! Contact your placement department to apply in this Drive if you are a student in Tamil Nadu. Anna University, Chennai is organizing “Tamil Nadu State Level Placement Programme” (TNSLPP) 2017-18, for the Present Final Year (2018 Passing Out) Students studying in University Colleges and Affiliated Engineering Colleges of Anna University, Tamil Nadu under Chennai / Coimbatore / Madurai Zones. They can attend any subsequent drives by bringing their CUIC – TNSLPP – Admit Card, without fail. Students who have already registered and obtained the admit card can also participate by producing the admit card in the respective venues. HCL has introduced HCL referral drive for 2016 and 2017 graduates, the company has asked employees to refer Freshers and Experienced both. He will refer you and you will get email from HCL if you Resume is selected regarding the steps. Your friends at HCL can refer you on or before 3rd April 2018, for the HCL off-campus referral drive 2018. This program doesn’t fall under the regular HCL Tech Employee Referral Policy. You should provide the SAP ID and Email ID of the HCL Employee who referred you. 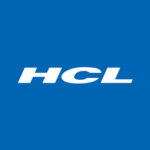 Walk in Drive Venue: HCL Technologies, SJR Equinox, Survey No. 47/8, Dhodda Thogur Village, Begur Hobli, Electronic City – 1 st phase, Bengaluru – 560100. Comment down your email ID’s, so we can refer you as well.